Users of Interfolio Dossier now have a Dossier specific search bar on the Interfolio homepage, with this they are able to quickly just about any data that is stored within their personal Dossier account. This will not pull any information associated with institutional accounts at this time, ONLY personal Dossier accounts. Users can easily download all materials via their Account Settings, learn more here. 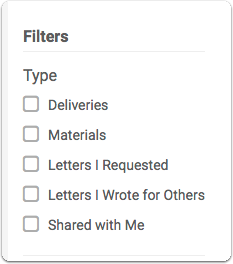 After submitting you will be on the Search Results page, with filters on the left-hand side and columns to sort. Select one or multiple to able to perform an 'or' search. 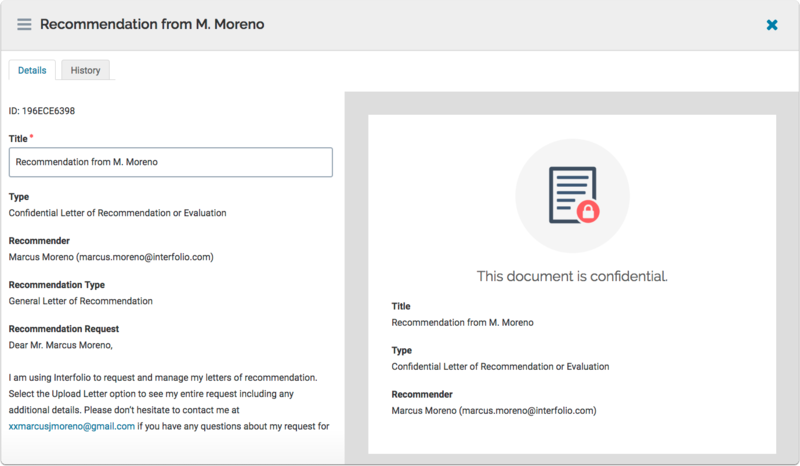 Example: Checking both Materials and Deliveries would display any documents or any deliveries which contain the searched term. You will be brought to the relevant details page for either the document or for the delivery record.